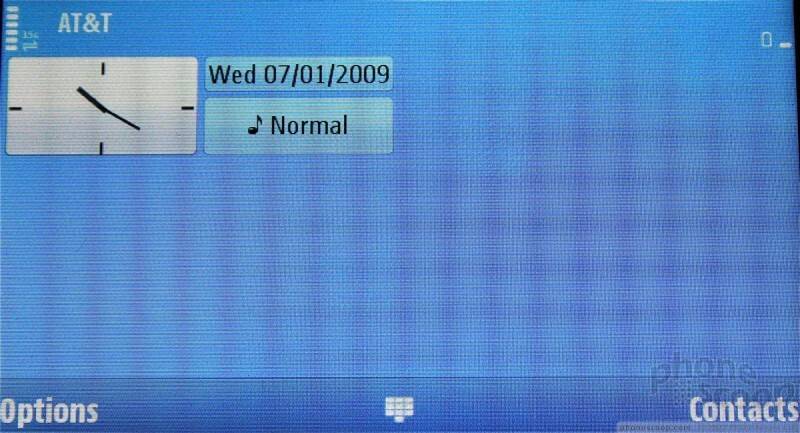 The N97 runs S60 5th Edition, which was made specifically for touchphones. It looks and acts much like you expect a touch-enabled version of S60 to look and act. Nokia has partly redone the way the home screen works, and that is perhaps the most significant change up compared to S60 3rd Ed. 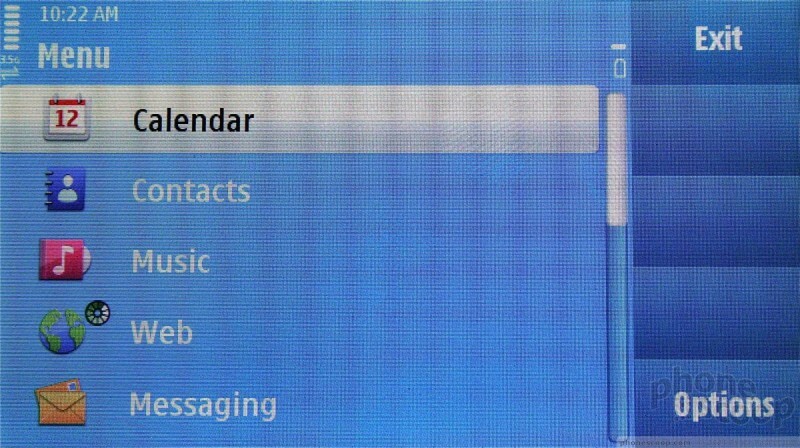 Whether open or closed, the N97 will show up to six home screen widgets. They can include things such as the time, Facebook, contacts, shortcuts to other apps, the weather, email and so on. They are completely user configurable and can be dragged around and rearranged at will. Press one to open that particular application. If you want to access the main menu, press the physical menu button on the front face of the phone. Press and hold the menu key to see a list of apps that are running. The main menu can be laid out in grid or list fashion, and users can rearrange the location of all the icons in the menu. One thing I really like is that S60 5th Edition feels flatter than S60 3rd Edition. In other words, you don't have to dig and dig through multiple folders to find things. The one baffling thing that Nokia has done is to necessitate double-tapping in many of the menus. Because it isn't deployed uniformly across the entire OS, it takes a bit of time to learn which menus and actions need to be double-tapped rather than tapped once. My word to describe this would be: annoying. Another thing of note - as with most recent N Series devices from Nokia - is the lag. The N97 is slow to open apps, slow to open menus, and slow to do pretty much anything. Those foibles aside, S60 5th Ed. is much easier for the beginning user to figure out quickly. By flattening the menu structure and making things easier to find, most users should have no problem adjusting.